Firefly Ridge wines have become fairly popular over the course of the last six months and so when it went on sale at Vons I was eager to try it and write up a review. As it turns out the most interesting aspect of this California Cabernet Sauvignon is that it is named “Firefly Ridge” and as far as I know there are no fireflies in California (although virtually every kid growing up here wishes there were). The Firefly Cabernet is just “okay”. It’s drinkable – don’t throw it out if you already have a bottle – but seeing how it isn’t particularly cheap there are quite a few other cabs out there that warrant more attention than this one. Interested in a better option? Take a look at some of the other wines we’ve reviewed from Safeway/Vons by clicking here. Firefly Ridge is produced in Livermore by The Wine Group, third largest producer of wine in the US (franzia, etc). So box wine in a bottle, basically. I’m 51 years old, and just experienced my first alcohol-related sickness after drinking 2 glasses of Firefly Ridge wine. Do not, I repeat, DO NOT buy or accept a bottle of this wine as a gift. The taste was fine, but a headache came on after one glass, and awakened me in the early morning hours, with symptoms that almost sent me to the hospital. My “house wine” is Forest Glen. I poured it at my wedding, and going on 5 years now, it remains a staple in my home. I wish I read this before I bought this wine. It was on sale at Vons for 6 bucks (reg $15) that’s why I tried it. I wish I had my 6 bucks back. I would have been highly upset if I would have paid full price. Stay away from this wine! YUCK! I don’t drink reds, but I have a panic attack if my Safeway is out of their Pinot Gris. I have served it in a glass to some wine snobs in the family, and they love it. I reluctantly bought this because it was on sale for $5.99, which was $10 less than the non-sale price. I was pleasantly surprised and liked it enough to go back and buy more. I’m surprised at all of the negative reviews. I agree with the other reviews on the quality of the taste ~ I bought the Red Flash thinking that it’s hard to DIS-taste a mixture of grapes. Although not a bad tasting red wine mix, I thought it would taste better since the original price was almost $20. All in all I give Firefly Ridge ~ The Red Flash a “B-“)in consideration of price, quality, and taste ~ but truthfully I did attract to the label of fireflies and the fact it was $10 bucks off. Well, as an optimist also, I bought the cab too. When I open that I will gladly review my sinful partaking. After two glasses of this wine I woke up with a horrible headache the next day. And my boyfriend got very sick after maybe 3 glasses. He got the worst migraine within a few hours after drinking and then started throwing up very violently. I do not recommend this wine. It is obviously made very cheaply and is probably not even real wine, whatever it is it will make you sick. Do not buy! This sold mainly thru Safeway?Vons and the way they market it is very disingenuous. I think the reason most people buy it is because Safeway shows a retail price of around $20 and a sale price of $6 – $9. Thing is it’s ALWAYS on sale. The retail price shown at Safeway has to basis to reality. The wine is crap even at $6. Please don’t be scammed by Safeway. There are dozens of better wines then this swill. I agree with Leen. I’m surprised by all the negative comments. I have drunk both the Cab and the Red Flash. For the price, I didn’t expect it to be a great cab. It’s OK. But I was pleasantly surprised by the red flash. Very good. A nice table wine for light meals or some one on a budget seeking an every day wine. I tried it because Barefoot Cab, which is award winning, inexpensive and delicious, has given me a splitting headache every time I had it. Disappointing because I enjoyed it. Firefly Ridge Red Flash is my alternative. Wow, I am surprised at all the negative comments because I just had the Cab and the Red Flash while on vacation in Calif. and thought they were fabulous! I am trying to find out how to get them back home in TN! Firstly: Livermore is nowhere near the Central Coast and B) I would be surprised to hear anyone say they’ve ever seen a firefly in CA. I thought it was fine-light and fruity. No headaches. A guest who is into “better” wines also thought it was fine. It always comes down to individual taste. Try it. If you like it, drink it. Don’t be bullied. Vinted and bottled in Livermore, from grapes/bulk wine obtained elsewhere–the Pinot Noir i am drinking is from Central Coast, a common pinot growing region. 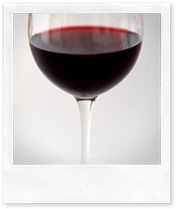 Many wineries truck in bulk grapes or purchase bulk juice from specific growing regions. And FYI, California has 19 species of fireflies, a new species was discovered last year. The Pinot i bought is on sale for $4.98, and is very drinkable for the price. Terrible wine, at 6 or 16$! Shameful business practices. Picked up a bottle of their cabernet, because it was on sale for $5.99 at Safeway, and labeled as regularly $12… this is, BY FAR, the worst bottle of wine I have drunk in long time!! i was already tipsy when I stopped at Safeway to grab a bottle to take home .. it’s always telling, when wine is bad enough to snap you out of your stupor. I had to leave this bottle open for TWO hours, in the hopes that it would eventually become drinkable. NOPE. It’s not…………I sure wish I had my $6 back! Don’t even consider buying this piece of s**t.